You’ve applied for a job or pitched a story. While this is a great question to be asked, sometimes the answer doesn’t seem very simple. Typically, freelance writers can charge by the word, by the hour, or by the project. But which should you pick? Should you always stick with the same way of charging? Can you change your rate depending on the project? We’ll try and help you tackle some of these questions because as a writer, there’s not much worse than agreeing to a rate, and then realizing you didn’t ask for enough to match the scope of the project. Before we get into determining your rate, let’s be clear: you deserve to get paid well for your writing. Though newer freelancers can’t always command the higher rates that writers with more experience and bigger bylines do, and some niches will pay better than others, understand this: content is a premium service and you deserve to get paid for your time, expertise, and words. First off, I should say that there is not a right or a wrong way to go about determining your rate and that each writer will have their own process. You can use a guide like this one from the Editorial Freelancers Association to give you an idea about fees, but you’ll see even their suggestions have a wide range for each type of content. It’s still a good place to start, though. I often see $.10/word discussed in Facebook groups as a minimum industry standard for writing. But- as we dig into this a little more, you’ll see that while $.10/word might sound good, when it comes down to it, that may not be a good enough rate for certain work. And for other work, $.10 a word is great! What’s Your Minimum Acceptable Rate? Before you think about which model you want to use, know your Minimum Acceptable Rate (MAR)- what’s the lowest you’re willing to work for? Keep in mind everyone’s needs, experiences, and expertise will vary, so your MAR and mine will likely be different. I calculate my MAR by the hour (though I do charge by the word sometimes- confused yet? It will get clearer). For me, my MAR is $75/hour. So, if I take an assignment that pays $75- I want to be able to complete that work in an hour or less. If the $75 assignment will take me 2 hours- I’m way under my MAR. (There are times where I go below my MAR, but I know that I’m doing it and I feel good about it). Even though my MAR is per hour, I don’t actually charge per hour for my writing work. We’ll get into why in a bit, but keep in mind that your MAR is an understanding of what you want to make, often per hour, and you can do that with projects charged by the word or by the entire project (and of course, by the hour). Let’s break this down and get into the different models of payment for freelance writers. What are the different ways you can charge for writing projects? For example, $.10/word, $.20/word, and all the way on up to $1 or more per word. You know exactly what you’re getting paid when you complete your piece with a final word count. Per word rates are a pretty common way of charging so those hiring you will likely be familiar with the model. Clients may think you’ll use filler words if they’re paying by the word. It can be useful to determine the proposed length, for example, “$.15/word for a final piece that is 1000-1250 words). This way the client can anticipate what they’ll be paying you. For labor-intensive pieces, your per word rate should go up and this may not feel comfortable to a client when they do the math ($.50/word for a 1000 word article may feel high). You get paid for exactly the amount of time you spend. You’re clear on if you’ll meet your MAR. Many people are familiar with getting paid hourly for work, so this model does make sense. Clients may be wary of this model if they don’t know you yet. They might think you’ll take your sweet time just to charge them. Since your hourly rate may be high, this can cause some discomfort for the client; be sure to also give an estimate for how many hours you think the project will take. It seems that rate per word or per project is more common, so clients may not be as comfortable with the hourly rate if they’ve worked with writers before. Clients will likely find this appealing because they know exactly what they’re paying you. You’ll be clear on how much you’ll make. Billing the clients is cleaner and easier; you are also less likely to be questioned over picky details like word count before or after edits, or questions about how you spent the hours you billed. If you underestimate the amount of work the assignment will take, your MAR may tank. If you take on too many projects without thinking about how much time they’ll take, you may end up with not enough time and turn in lower-quality work. As you can see, there are pros and cons to each type of fee structure. Regardless of which you choose, when someone asks how much you charge, it’s so tempting to jump to an answer. Get all the information before you give your rate! Make sure you have all of the information about the assignment first and give it some thought before sharing your rate. You don’t want to kick yourself later because you gave your rate too soon. How much research do they want? How many rounds of edits are completed? Will they need an outline first? Do you have to source pictures? Will you be uploading your posts into WordPress or another CMS? When you have these answers, you can be thoughtful about how much time this will take you and make your best estimate. Then, you can submit your rate. Okay, now that you know more about the different options and some important points before sharing your rate…how do you get to the final answer of “here’s my rate”? How do you decide which rate structure is best? There is not necessarily one way that is always better than the other. Then, you know how to present your fee and you’ll need to use the information gathered from the client to determine the rate. If, however, a client says “what’s your rate?” or “how much do you charge” then it’s up to you how you present your rates. Before I think about the way I’ll present my rate (by word or by project; as I said, I don’t charge by the hour for writing work), I try to determine how much time the project will take. I look at what the client has shared, what I know about the topic, and I compare this to how long similar projects have taken. If you’re new, sometimes you have to use your best guess if you don’t have previous work for comparison. I find that clients often respond well to the “per project” rate, because they know what they’re going to pay you. Per project is how I typically charge, though I have a few clients who pay me per word. I also find that giving a per word rate can appear to make you too expensive when writing in a space you know well. For example, I have a couple of regular assignments that are around 600 words. Based on what I knew about these publications’ budgets at the time I applied, I knew that my general per word rate would put me out of their range. Asking for $.20/word for example, would be too high for their budget, but I could ask for $75/article and have this be comfortable for everyone. Now you may be thinking. But, if you can charge $.20/word, why are you will to take less than $120 for that post? Because it goes back to my MAR. When I can write these types of articles in about 30-45 minutes, my MAR is right where I want it to be, or higher. As you can see, it’s not about charging only one way, but looking at what you know about the situation and coming up with a rate that you feel comfortable with. Should you give a range for your rate? For example, should you say, “I generally charge $.20-$.30/word” or “$100-$125” for this type of project. I think this can be appropriate when a publication or potential client asks for your fee at the very beginning of your exchange about work. When you don’t have all the information needed, giving a range allows you to adjust once you know more details without feeling locked into what you said. However, once you have the specifics of the project, I find that giving a range gives the client the opportunity to go to the low end. And, then you don’t have a leg to stand on because you’ve said you would work for this. I find it helpful, when the rate is feeling a little low, but you still want the job, to gently let them know you’ll be renegotiating later. Can you ask for more once you’ve started? So, what happens when you’ve agreed to the rate, started the assignment, and feel like you’re not getting paid enough? Again, there’s not one right answer to this situation. But- if you got the details ahead of time, gave your best estimate, and now are feeling it’s taking longer than expected, I think this is the kind of moment where you need to use this information for future reference. In other words, before you take on this kind of work again, remember how much time research for this niche takes you and price accordingly. You can of course, renegotiate for the next article, but I think this can come off as unprofessional and you may risk losing the job. HOWEVER- if you’re experiencing scope creep, where you signed on for a list of tasks (600 words, research, no interviews) and now the client is asking for an outline, an interview, and pulling out pieces for social posts, then this is a legitimate reason to revisit your rate and ask for more (but make sure you have the scope detailed and agreed upon to begin with). So, which way of charging should you pick?? Hopefully you can see that you’ll want to gather the information specific to the project and then price accordingly. I think you now know the answer to this one. If you don’t, I’d suggest you read the first part of the article again. TL;DR: No- you don’t have to stick with one way of charging. You can, however, if you feel that’s better for your business. If you want to have set rates on your site, for example, you might always charge by the project, but I think having the option to adjust based on what the client is asking for is appropriate. Yes! 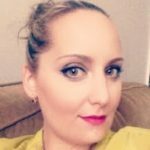 Sometimes I go lower than my MAR or my “typical” per word rate because the site is getting started, I want to build a relationship, or I am excited for some other reason. There are also times where I might raise my rate much higher than I’d typically charge because they’re asking for more work than I typically do. My MAR will likely stay consistent, but I’m taking on a project with a larger scope. I look at every situation on its own and determine my rate. I do end up charging similar fees, for example, I have a few clients who pay me $75/post, but I don’t just agree to $75 because “that’s my rate.” No- I look at the specifics and determine if this is still an appropriate rate for the current project. 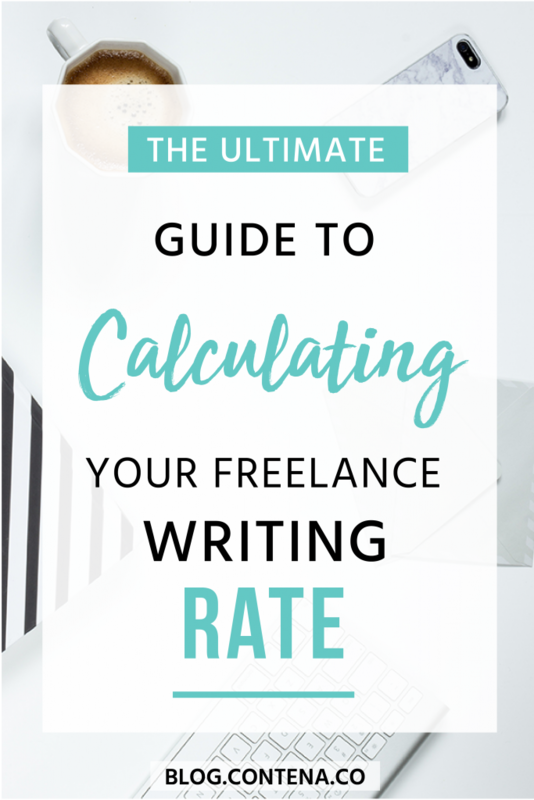 The nature of freelance writing work is that you’re often taking on new work and new clients; this gives you lots of opportunity to come up with a rate, present it, and adjust as needed. This is great information for your future work. You can always make changes. If you’re presenting a per project fee most of the time and you feel like your MAR isn’t high enough, you can raise your rates; you can also try shifting to a per word model to see how that works. There is flexibility with how you charge. Gather information and don’t jump too quickly into giving your rate. My experience is that clients are comfortable if you learn about what they’re looking for and get back to them with a rate. Thankfully, a lot of our interactions will be via email, which gives you time to be thoughtful about your rates. If you’re constantly hearing that your rate is too high, you’ll likely want to reevaluate. Be confident. Asking for money can be hard and it will get more comfortable the more you do it. Enjoy the fact that you’re building your own business, creating your own fees, and don’t be afraid to raise your rates when the time is right.